Sometimes I prefer real-pictures rather than model pictures, because the Prada Grommet Shoulder Bags looks more promising here! Ladies, big chains are so-in right now. Big and bold, you need these in 2016 and beyond. Besides being big, they’re shining like pure silver. 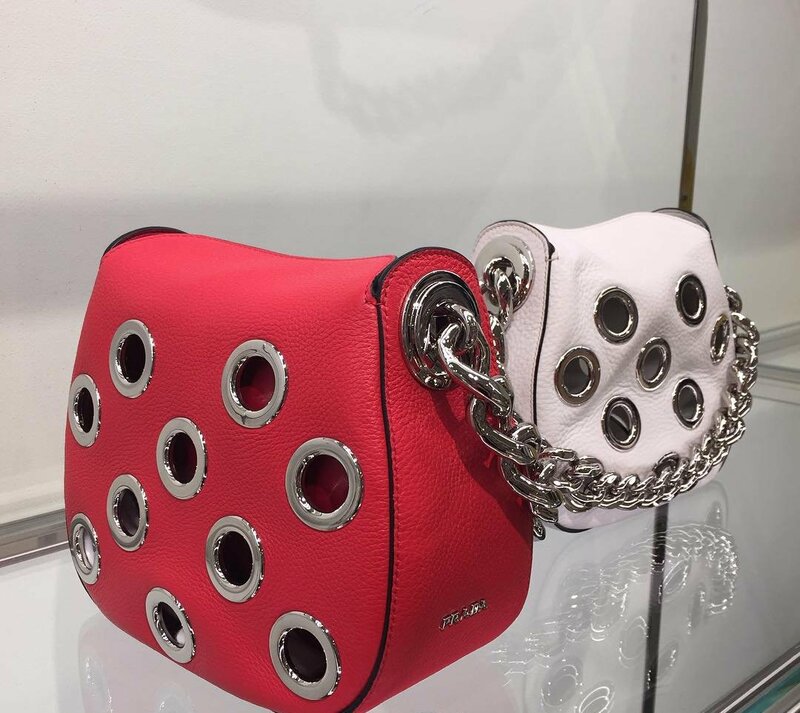 And grommet is also in right now, I am not sure whether you’re into bags with holes but they’d look tasty to me. 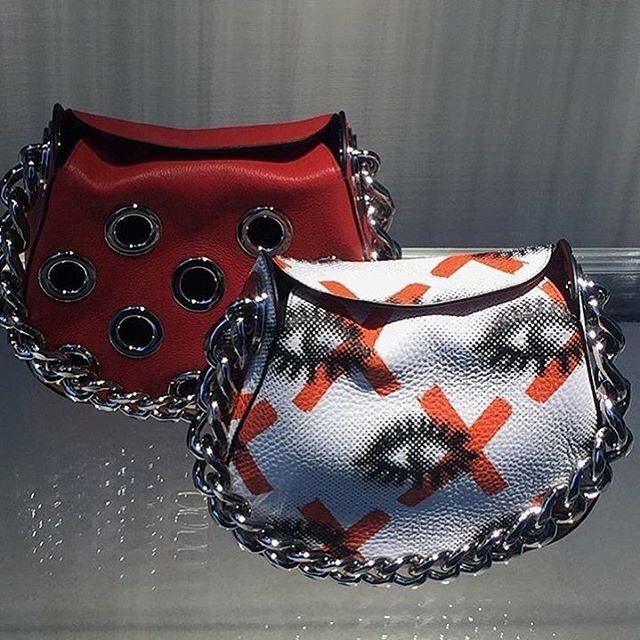 Oh by the way, these are Prada Grommet Shoulder Bags. For those that are interested, allow me to give you the tiniest details. Made from calf leather, it features a small leather pouch inside. In fact, you need to store your essentials inside the pouch or else it might fall through the holes. But overall, it’s a beautiful design and a nice bag for the casual days and evenings. More, the size! Measuring 21 x 17 x 10 (L x H x W) in cm, priced at $2190 USD or €1650 euro via Prada e-store.